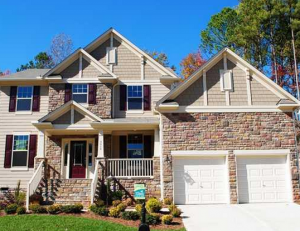 Leone Landing in Raleigh, North Carolina is a fantastic neighborhood with a small town feel. Because of its size, one can get to know their neighbors and feel right at home. The best part is that Leone Landing is located where residents can still enjoy all the big-city benefits of Raleigh. Families here thrive with a terrific school system, plenty of job opportunities, and a wide range of recreational activities. The area has lovely parks, as well as many unique attractions. Shopping and dining options abound with everything from the plain and simple to the extravagant. The children of Leone Landing attend facilities within the Wake County School District. This includes the West Lake Elementary School and Raleigh Athens Drive High School. Teachers and parents work together to give children an environment where they can learn and excel. There is also the Adventist Christian Academy. For those who live in Leone Landing there are several attractions nearby. Pullen Park Amusement Center is the fifth oldest amusement park in the country. Guests will not find the wild thrill rides of today’s modern theme parks, but they will find an old fashioned charm that is irresistible. The miniature train ride and carousel are big hits, along with the kiddie and paddle boats. Families can grab a bite to eat at Pullen Park Café or bring along a picnic to enjoy under the shelter. The North Carolina Museum of Natural Sciences has four floors of hands on activities and live animals. Visitors can explore North Carolina’s prehistoric past, geology, animals, and native plants. Middle Creek School Park sits on 105 acres with a large variety of outdoor activities available. They have eight tennis courts, two basketball courts, and lighted baseball and softball fields. One can join in a game at the 18 hole disc golf, walk along the scenic trails, or picnic by the playground. Lake Wheeler Park is ideal for fishing or viewing the wildlife. Eight hundred beautiful acres surround the lake. One can rent boats or bring their own. Concession stands sell hotdogs, soft drinks, and snacks. Residents of Leone Landing will find exceptional shopping and dining in Raleigh. The city has everything from unusual boutiques to name brand merchants. Strolling around town, one can discover antiques, crafts, and fashion in a variety of styles and tastes. Among the shops are some of the area’s best eating establishments. There is fast food options, casual family style restaurants, and of course, fine dining. The city also has ethnic choices as well as sea food and steak house selections. The Street at South Point is a large, outdoor mall with small boutiques and larger, well-known department stores. Kids can take a break at the children’s play area in the J.C. Penney Court. AMC Theaters provide entertainment, and one can find food at The Cheesecake Factory, Maggiano’s Little Italy, or Zinburger.